The passing of Dolours Price, a republican legend, has come as a deep shock to the entire community, regardless of politics or allegiance. 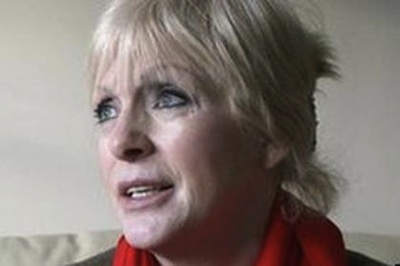 Dolours was a mother of two sons and former wife of leading actor Stephen Rea. She was found dead at her Malahide home on Wednesday night. Her death has seen an outpouring of sympathy and respect on social networks, and hundreds of messages have been posted in tribute. Dolours suffered profoundly from post-traumatic stress disorder relating to her time on hunger strike in 1973/1974, and had previously attempted to commit suicide. In July last year, she said she was “completely distraught” with anxiety for the wellbeing of her sister, who is younger by three years. Marian Price was interned without trial by British decree almost two years ago, and is still under prison guard in hospital. She had been a harsh critic of Sinn Féin in recent years and had repeatedly clashed with its leader, Gerry Adams, over his alleged role in the IRA and his party’s ‘sell out’ of republican principles. The Belfast native had also come under pressure in recent months as a result of interviews she gave in confidentiality with researchers associated with a ‘conflict archive’ funded by Boston College. The taped recordings were subpoenad by the PSNI police as part of their historical investigations into the IRA -- potentially implicating Mr Adams and others -- but have since become mired in legal wrangles on both sides of the Atlantic, including a potential US Supreme Court challenge. Mr Adams said yesterday he was “profoundly saddened” by Price’s death and extended his sympathies to her family. “I have known Dolours for a very long time. She endured great hardship during her time in prison in the 1970s, enduring a hunger strike which included force feeding for over 200 days,” he said. In a statement, the two Boston College journalists, Ed Moloney and Anthony McIntyre, also expressed their sadness at her death. Dolours was one of the IRA’s most prominent members during the early years of the recent conflict. Her father Albert Price was a veteran IRA man, a survivor of the 1940s campaign. She recalled how her father would recount his years in the struggle, and said of her family that Republicanism was “part of our DNA”. Grammar-school-educated, she was in her final year of teacher training at St Mary’s College on Falls Road in west Belfast when she was arrested for her part in an IRA’s campaign on British soil. 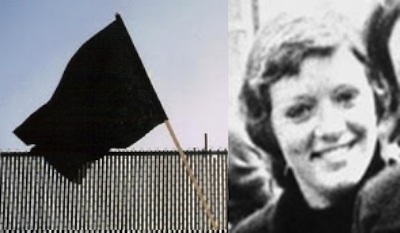 She joined the IRA following internment in 1971. Before that she had been a member of the left-wing People’s Democracy. Attractive, well-spoken and university-educated, she was part of a new breed of articulate IRA members. She was the first female IRA member. Until that point women were recruited into the Cumann na mBan. At just 22 years of age Dolours had already risen rapidly through the ranks of the IRA and was privy to the most secret of information as part of an elite unit. She was the leader of a nine-member IRA team which included Sinn Féin’s Gerry Kelly, and brought the war in the north of Ireland back to its source -- London. Her role in a 1973 attack on the Old Bailey courts complex, one of the headquarters of the British injustice system, led her to be dubbed ‘the Old Bailey bomber’ by the Tory tabloid press. Following her arrest and trial at Winchester Castle in November 1973, she was jailed for life, and immediately began a 206-day hunger strike, demanding to be transferred to prisons in Ireland. But her senior role in the IRA and her years of incarceration in England, took a toll on her mentally. Both Price sisters were given early release from prison in the 1980s on health grounds. It is not yet known if Marian will be permitted to attend her funeral. In court on Friday there was confusion as to whether or not the 58-year-old was already on bail, as she was granted bail in 2011, shortly before she was interned. While Judge David McFarland (again) granted bail, he added that it will now be a decision for the Parole Commissioners whether or not the grieving woman is actually released. The funeral is likely to take place at St Agnes’s Church in Andersonstown, Belfast, on Monday, followed by burial at Milltown Cemetery.